Turner J. Fisher, 1841-1913. 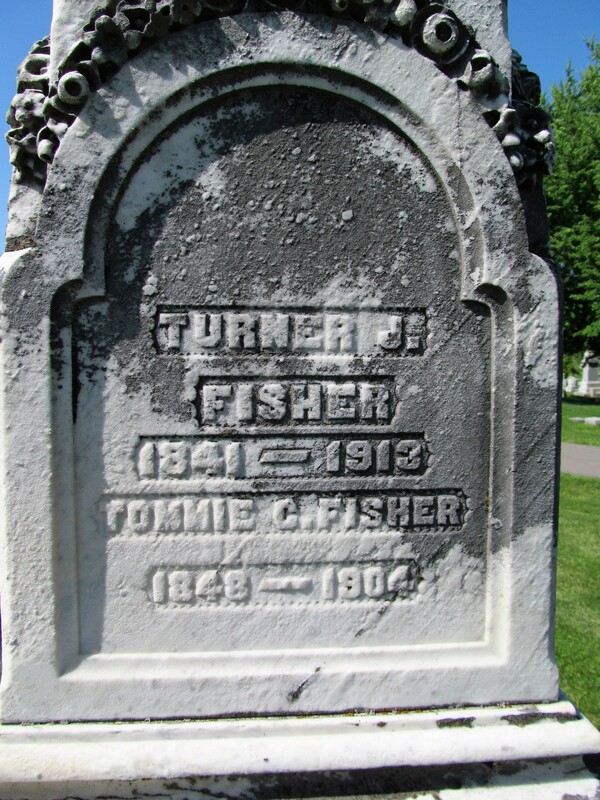 Tommie C. Fisher, 1848-1904. Spring Hill Cemetery, Harrodsburg, Mercer County, Kentucky. One of the saddest sights it is ever given to a community to witness, occurred here Wednesday afternoon at two o’clock when the funeral services of Mrs. T. J. Fisher and Mrs. A. I. MacMordie were preached simultaneously at the Methodist church, Dr. W. F. Vaughn, the pastor, conducted the services over these two faithful helpers in his flock, and with touching words and tender sympathy, he offered the consolation of the religion these two noble women professed to the sorrowing families and friends who had gathered to pay their last tribute to the lives whose examples had been for naught but good. A remarkable co-incident in connection with the deaths of these two prominent women, was their life-long and devoted friendship, their untiring faithfulness and zeal in church and charitable work; the mutual interests in the local chapter of the Daughters of the Confederacy, and both were stricken almost simultaneously with the same disease and died within a few hours of each other. Last Tuesday afternoon, a week ago, they attended the Aid Society of their church together and that night they were both stricken with pneumonia, and from the first moment when the disease laid hold of them they were in a critical condition. Mrs. Fisher died first, passing away a little before four o’clock Monday afternoon, and that night shortly after midnight, death again entered the other household and carried away the wife and mother whose life had also been given up to noble and unselfish deeds. The remains of both were interred in Spring Hill cemetery. Mrs. Fisher was Miss Tommie Chenoweth, and besides a devoted husband she leaves a brother, Col. J. Q. Chenoweth, who was called from his home in Texas to her bedside, reaching here only a few hours before her death. She was a steadfast and conscientious Christian whose warm and sympathetic heart had made for her a large circle of friends. Mrs. MacMordie leaves a husband and a daughter, Mrs. Huling Henry, of Louisville, to mourn her loss, and a sister, Miss Bettie Harris, who is now ill with the same disease-pneumonia. The deaths of these two prominent women will be a loss to the whole community, both in religious and social circles, but the memory of the good deeds that have blossomed along their way, will live always in the heart of their friends as “a bright and shinning star.” The funeral was very largely attended. Mrs. McMordie was district secretary of the Woman’s Missionary Society and Mrs. Fisher was president of the Home Society. The pall-bearers were the stewards and officers of the Methodist Church. Among the many handsome floral tributes, was a handsome design from the Sunday School classes of each of these noble workers and also one from the Daughters of the Confederacy. Mr. T. J. Fisher, one of the prominent men of the community, passed away Wednesday morning after a long illness. Several months ago he was blown down on the street by a small tornado that stuck the town, and his hip was shattered. After weeks in the hospital he partially recovered, but some days ago suffered a relapse which caused his death. He was seventy-three years old, a native of Jessamine county, but had made this city his home since early manhood. He was of a happy disposition, companionable nature, a man who read much, and was exceedingly popular with a wide circle of friends. 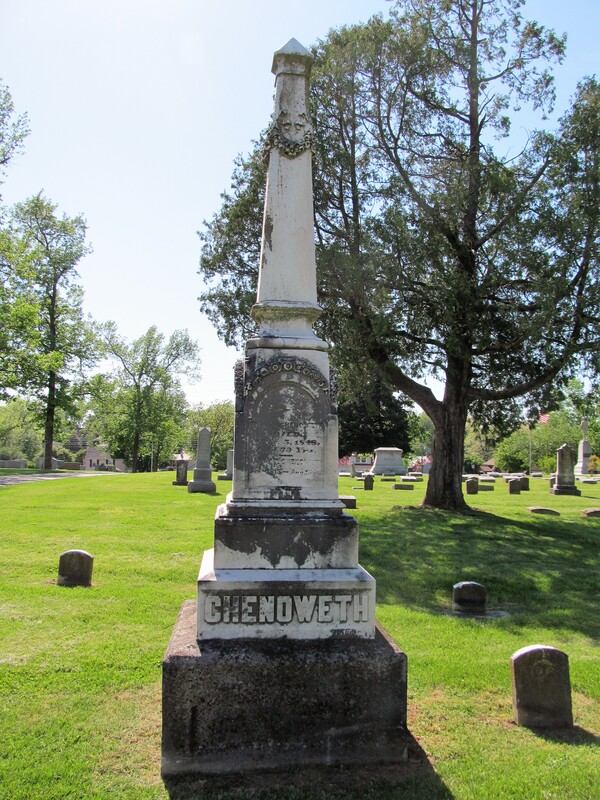 His wife, who was Miss Tommie Chenoweth, died a number of years ago, and he leaves one brother and sister, Mr. Joseph Fisher, of Wilmore, and Mrs. J. R. Wilmore of this city. The funeral service will be held this (Friday) afternoon at 3 o’clock at the residence of Mr. and Mrs. Wilmore on Beaumont Avenue, conducted by Rev. F. T. McIntire, assisted by Dr. J. G. Hunter and Rev. R. N. Simpson, and the interment will be in Spring Hill cemetery beside his wife.